SignatureXpert® provides signature verification for unprecedented accuracy. It enables signature authentication in applications including check processing, loan origination, voting by mail, petitions and countless other uses where it is crucial to detect signature fraud. SignatureXpert provides the highest degree of accuracy for any document type that requires signature validation. 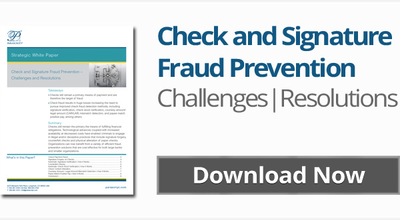 SignatureXpert’s advanced functionality combines multiple verifiers to analyze dozens of signature features and can use multiple references to differentiate between natural anomalies and true irregularities that indicate fraud. Advanced image preprocessing capabilities ensure a clean image. Backgrounds and all type of noise are eliminated from check images, IRDs, and signature snippets cut from documents with inconsistent layouts. Uses confidence values as a basis for making decisions about signature genuineness and drawing conclusions about probable fraud type. Set confidence value as a threshold, depending on the specific application. Supports American-style signatures, as well as complex European-style signatures, enabling one software package to deliver universal authentication in a single stream.